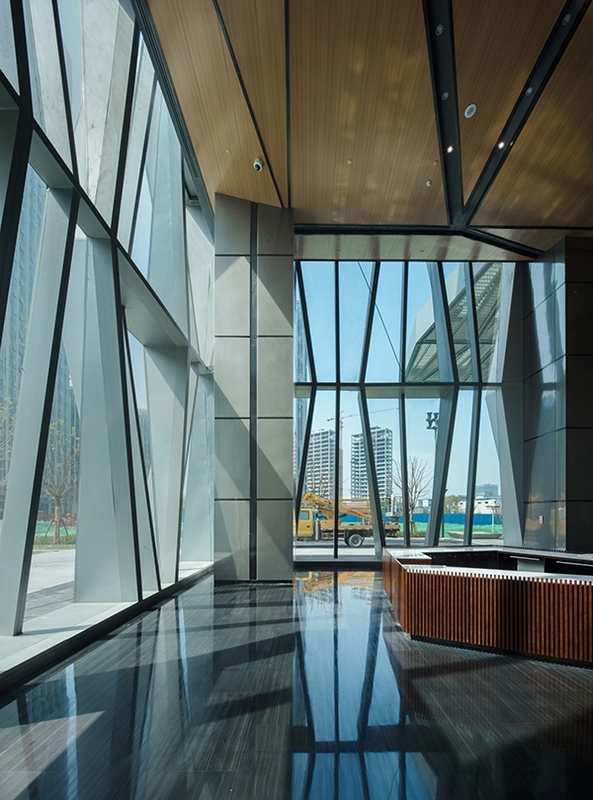 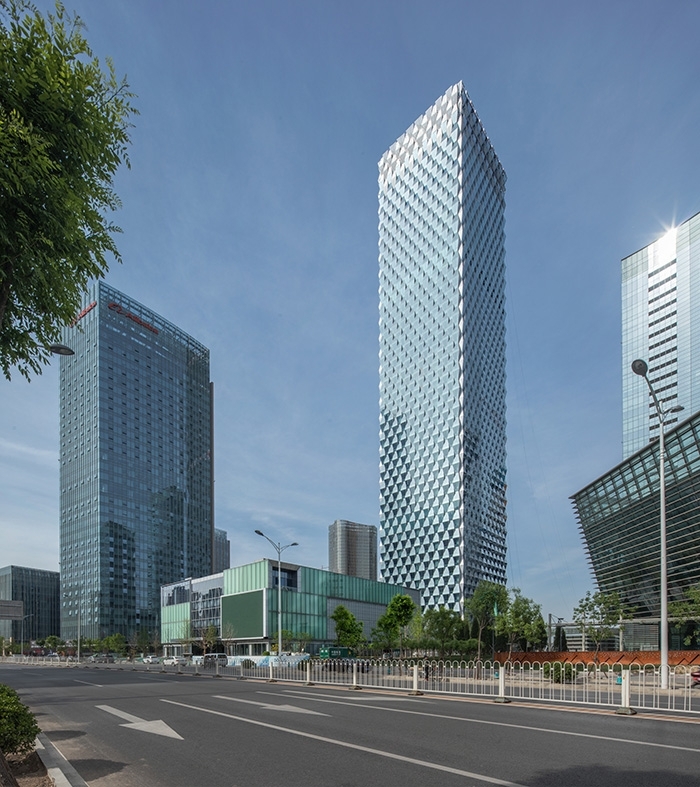 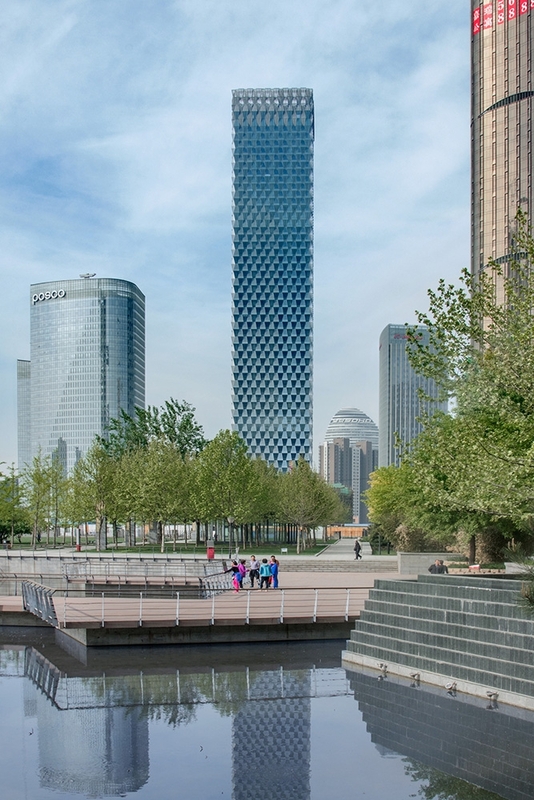 Contractors: Beijing Liujian Construction Group Co., Ltd.
Anchoring Beijing’s burgeoning new Dawangjing business district, the recently completed Beijing Greenland Center is situated on the city’s northeast side. 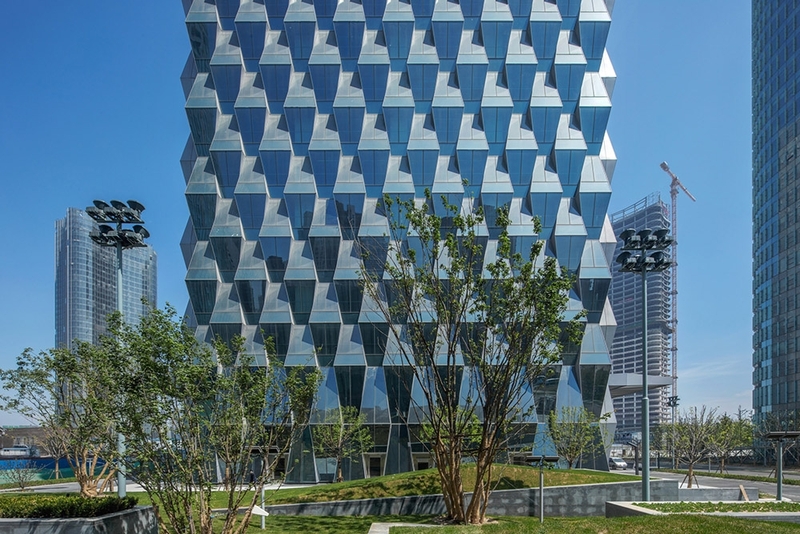 The tower is clad in an intricate, trapezoidal glass curtain that jurors called, “ambitious and beautiful.” It creates a woven texture. 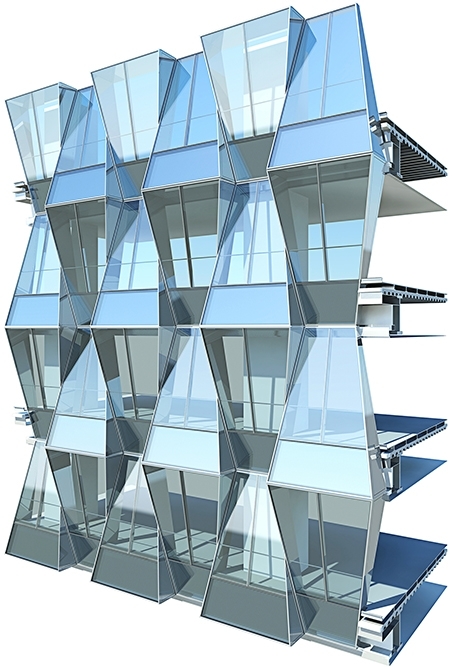 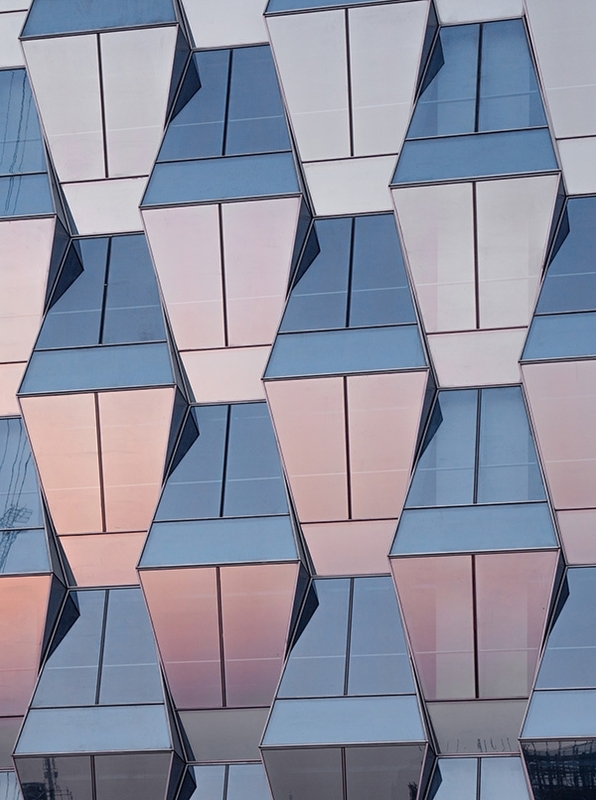 The repeating glass modules undulate, providing self-shading that improves the building’s environmental performance.